At the end of each year, we all have a tendency to stress about the things that did not go our way. But despite any setbacks you may have experienced, I guarantee you also had many wins. No matter how big or how small, these accomplishments and moments should be celebrated as you ring in the New Year. 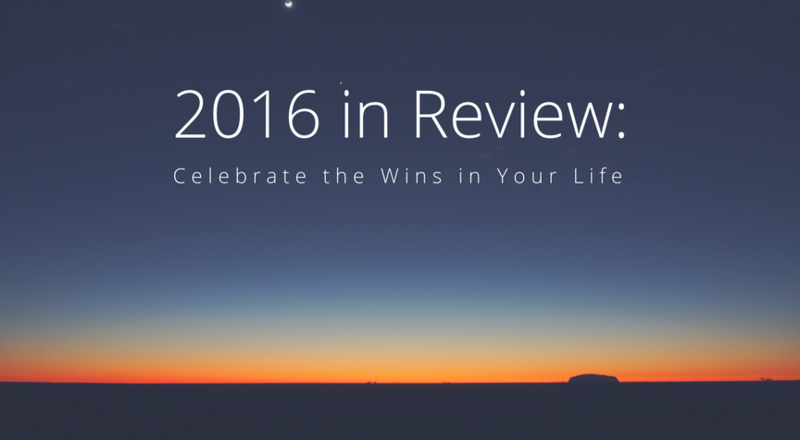 I encourage you to reflect upon all of the amazing things that happened to you in 2016 and enter the New Year feeling positive and fired up to rock your life goals! Founded Rockstar Doggy Momma, and in doing so, met some incredible women. It has been an honor to feature our RDMs and I cannot wait to continue our highlights this coming year. Doggy Mommas rule!! Have been featured in numerous wellness articles in some of my favorite online magazines. Nothing brings me more joy than sharing my wellness knowledge with all of you. Shared lots of laughs on an amazing trip to Turks and Caicos. Performed in the Goodman Theater’s A Christmas Carol in a walk on role with one of my best girlfriends. Became immersed in the practice of Pilates with my fabulous teacher Susan. Mastered some new recipes in the kitchen with my sous chef Gatsby. Went on an adventure to celebrate my Dad’s birthday with my family. Love spending time with them. Achieved better balance managing the different areas of my life. Created our RDM lifestyle community program which is launching next month. Cannot wait to work with you inspiring ladies!